Senior Status Law student Matthew Thomson has been presented with a cheque for £100 and a trophy after winning the Boys & Maughan Advocacy Competition at Kent Law School. 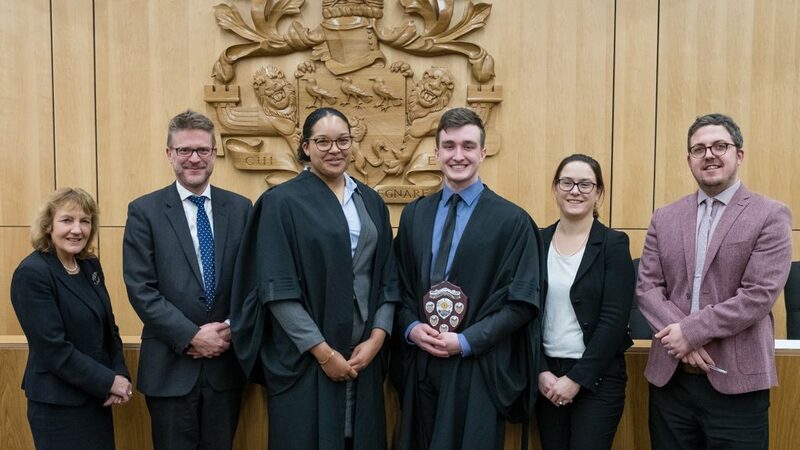 Matthew beat fellow law student Peteche Bethell in the final of the annual moot competition held on Thursday. Both students mooted before a mock Court of Appeal comprising: Matt Champ, a non-practising barrister and Chartered Litigator and Advocate at Boys & Maughan; Per Laleng, personal injury barrister and Kent Law School’s Director of Mooting; and Emma Sole, a Barrister at Stour Chambers. The competition, sponsored by Boys & Maughan Solicitors, was held in the Moot Court on the top floor of the Wigoder Law Building on Kent’s Canterbury campus. It was followed by a talk, delivered by Kent alumna, Her Honour Judge Sarah Davies, and an evening of networking with practitioners which included barristers from both Stour Chambers and Becket Chambers. Matthew and Peteche secured their place in the final after winning the first two rounds of the competition held in November. Last year’s Boys & Maughan Advocacy Competition was won by Ebun Adeniran. Mooting is the practice of legal argumentation about points of law in a simulated courtroom setting. It is another way of learning about law and enhances legal knowledge and analysis; advocacy and research skills; oral and written presentation skills; teamwork; and time-keeping. 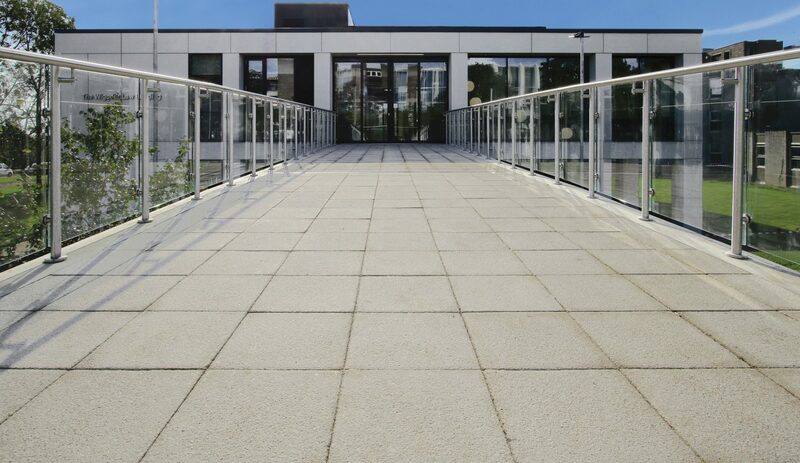 Kent Law School’s intensive and wide-ranging mooting programme benefits from substantial input from academic staff, practicing lawyers, members of the judiciary and alumni. The current Director of Mooting is Per Laleng, a faculty member with extensive experience at the Bar. In recent years the Law School has entered teams in the: OUP/BPP Moot; English Speaking Union Moot; Jessup International Law Moot; Inner Temple inter-varsity moot; Landmark Chambers moot (property law); inter-varsity medical law moot at Leicester University; Southern Varsity Shield; and inter-varsity Mackay Cup (Canadian Law). The Law School’s senior internal mooting programme will begin at 6pm on Thursday in the Moot Court – for more details (and photos), follow Kent Law School Mooting on Facebook.